After finishing An Ember in the Ashes a few months ago, I immediately ordered the sequel. 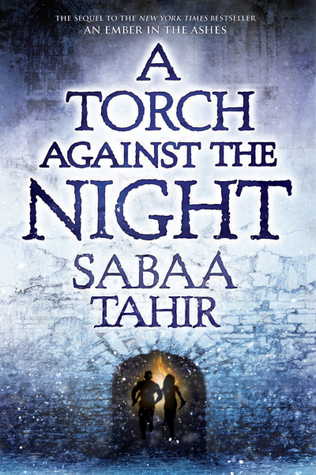 However, I just got around to reading A Torch Against the Night, despite the intense ending to the first novel. Surprisingly, it didn't take me long to jump back into the Empire and to remember its cast of characters. Elias, Laia, Helene, Izzi, and all of Tahir's memorable characters return in this second book to take a fierce stance against tyranny. This second installment definitely takes a darker turn. Sure, death and pain were no stranger in the first book, but blood and gore permeate almost every chapter of this intense sequel. I do believe that A Torch Against the Night is a little more creative than the first book, with expanded descriptions of the Empire and increasing encounters with mythical creatures. 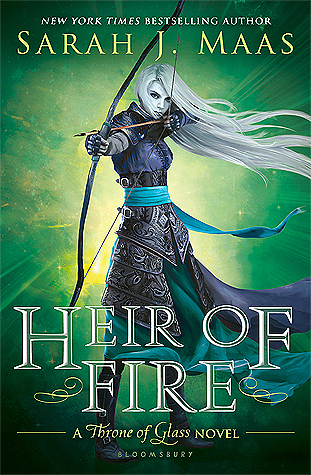 Once again, I was impressed by Tahir's world-building abilities, as well as her penchant for keeping readers on their toes. So, why did I award the first book 4.5 stars and this one 4 stars? To be quite honest, I'm having trouble placing my finger on what I didn't like about this sequel. I thoroughly enjoyed the characters, and the story did keep me guessing. Having said that, I just wasn't as impressed by A Torch Against the Night. I think I was hoping for the book to go a little further than it did. Perhaps I would have felt more satisfied if the story had included a couple more hundred pages? The characters undoubtedly make this series the great success that it is. They're intricate and vividly described. Even though the chapters alternate between Helene, Elias, and Laia, it isn't difficult to enjoy every point of view. Tahir is a master of character development, and you definitely won't be disappointed by the characters you grew to love in the first installment. This series is still one I'd recommend to any fan of dystopian literature. The strong characters, intense plot, and intriguing writing will keep almost any reader engaged. I'll definitely be picking up the third book as soon as it hits shelves. When will that be, you ask? Rumors say 2018, and if that's the case, then I hope I can dive back into Tahir's world as easily as I did this time. This sequel met my expectations and has proven once again that Tahir is a talented author.